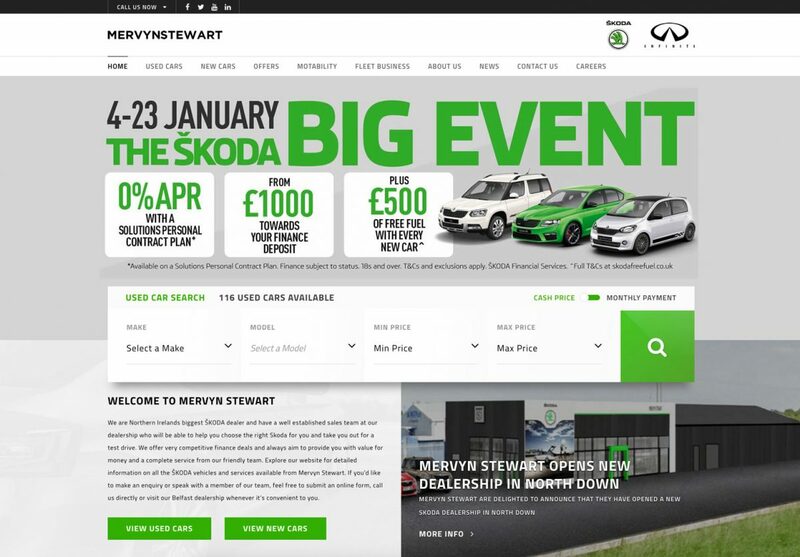 Mervyn Stewart is a franchised Skoda car dealership located in Belfast, Northern Ireland. 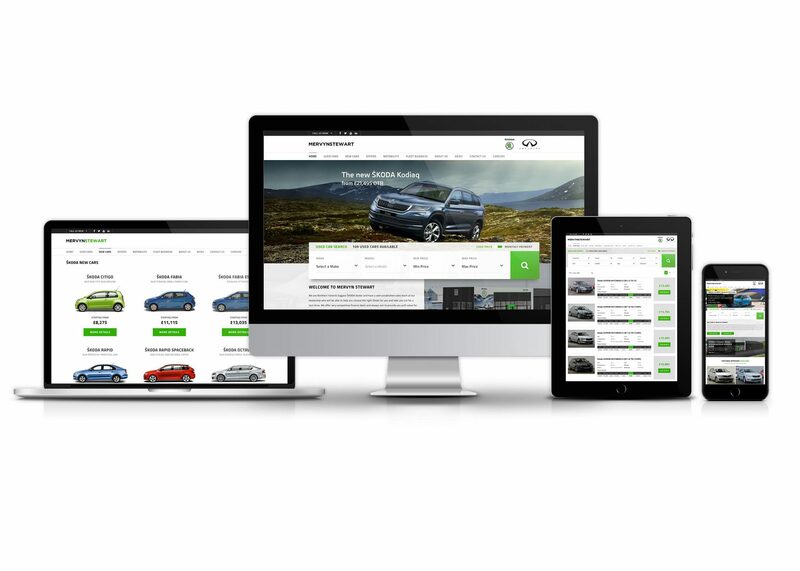 They provide a complete range of services to private and business customers from their recently-upgraded showroom, which is now the biggest in the Skoda UK network. 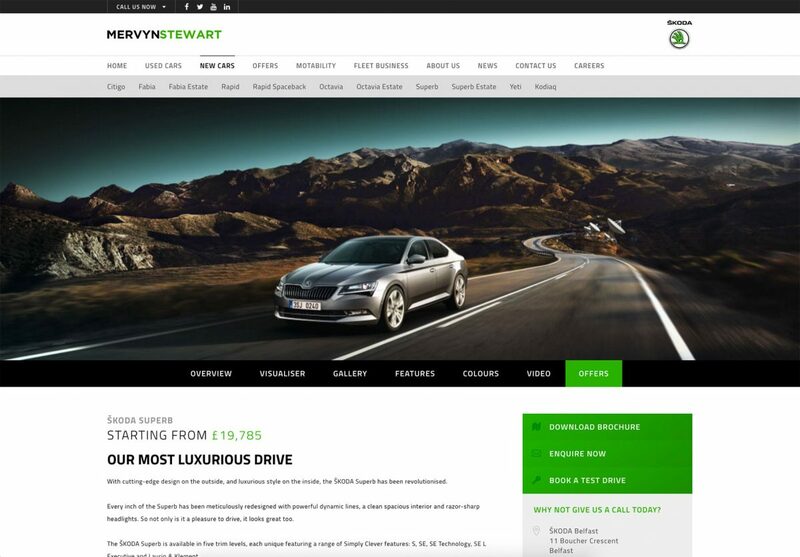 Mervyn Stewart asked us to produce a stylish website that reflected Skoda corporate branding. Extra emphasis was to be placed on promoting new car sales. 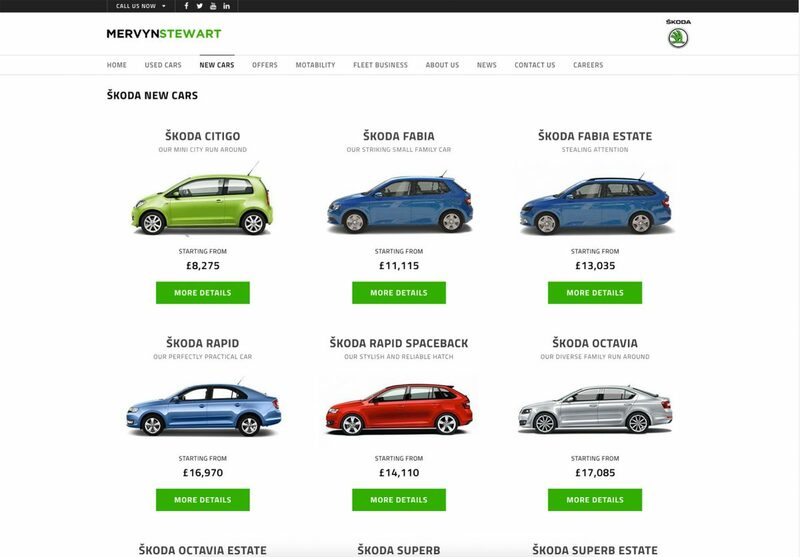 As a result a lot of time was spent incorporating ways for them to provide information about the current Skoda range and to advertise special offers. All this information can be updated by them via our car dealer system. 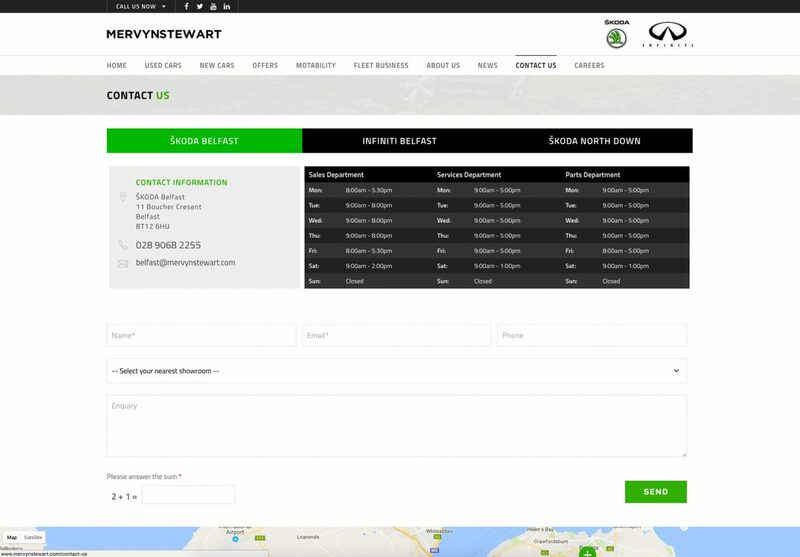 Their approved used car stock is updated automatically via a data feed from the manufacturer which eliminates the need to maintain duplicate information on their own website.